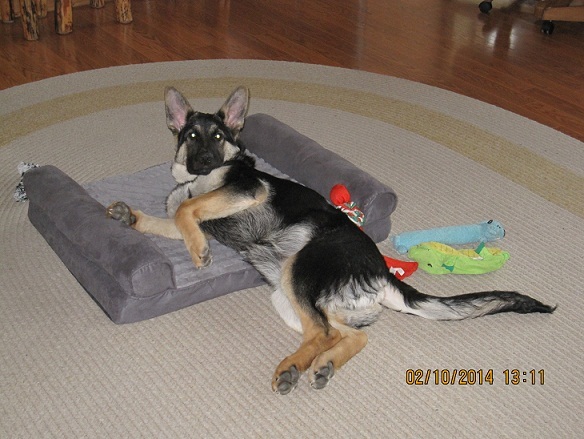 6/8/13 Here you go Miss Charlotte.... Hmmm, what can I say about this pup.....Czar is a very balanced pup. Environmentally he investigates everything and shies away from nothing. 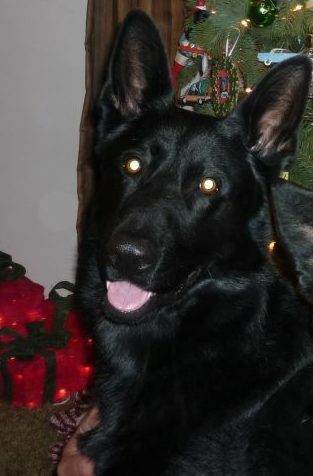 His focus is intense and willingness to please is very good. His toy drive is very high and loves to play tug. I very high hopes for this little guy! One thing that is very important for me a sport dog owner is the dogs ability to settle in the home, but yet do the work with great intensity.....and with this one I think I have it. Charlotte, I wanted to thank you so much for all of your years of hard work on your breeding program. 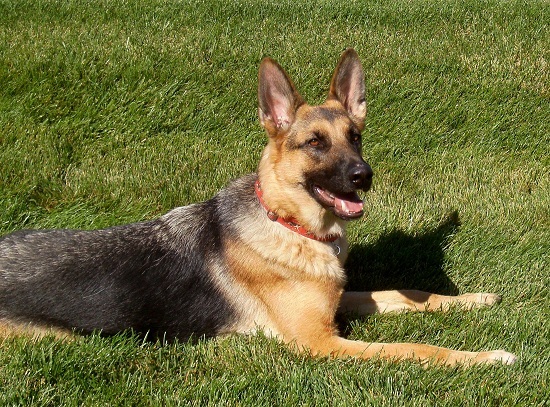 Your integrity and candid honesty is a breath of fresh air in the dog world. I have purchased over 10 pups in the last 6 years and I have not found someone more concerned about her dogs than you. 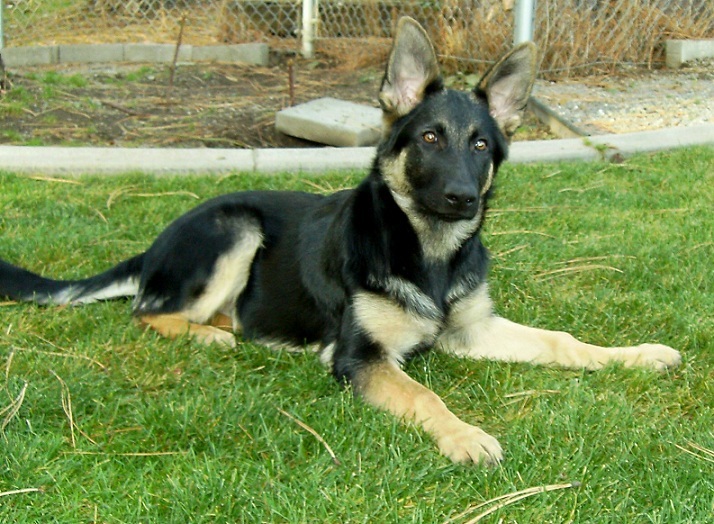 You have been able to produce and preserve the all versatile German Shepherd and this shows by the wide variety of titles you have place on your Shepherds. Their sense of loyalty and eagerness to work are nothing short of painstaking hard work and dedication to your program. THANK YOU!!!!! 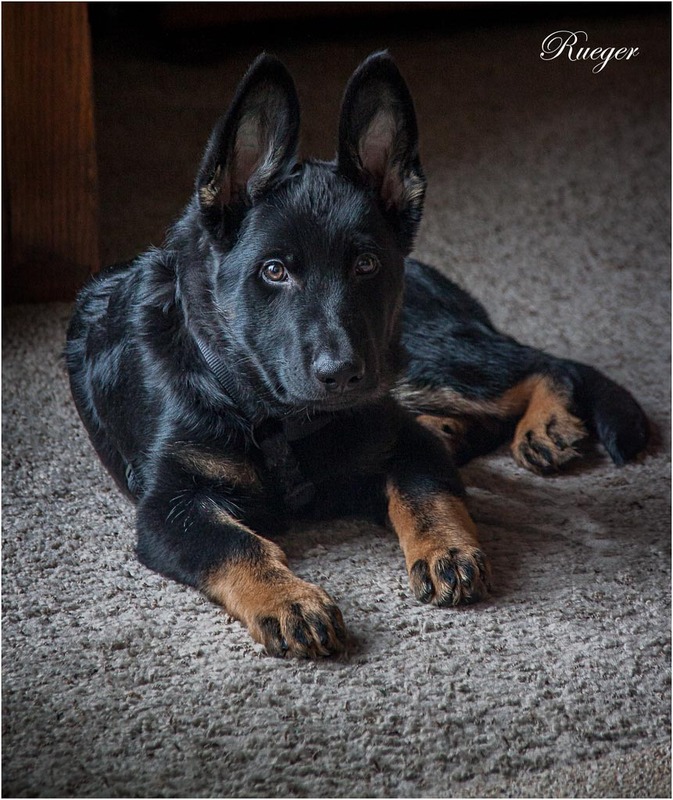 Regards, Curt R.
Brixx Vom Haus Vianden - Born July 6 2012, Sire:INT CH Liedo Vom Haus Vianden BH CD RN & Dam:INT CH Nadia Vom Haus Vianden BH,CD,RN SCHA IPO1. Bron Vom Haus Vianden - Born July 6 2012, Sire:INT CH Liedo Vom Haus Vianden BH CD RN & Dam:INT CH Nadia Vom Haus Vianden BH,CD,RN SCHA IPO1. Hi Charlotte, I just wanted to give you an update on our little guy :) His official name in our household is Saul. He has been such a perfect addition to our family. It is so amazing how smart he is. He is already sleeping in his crate fairly well and will occasionally just walk in there and take a nap on his own. 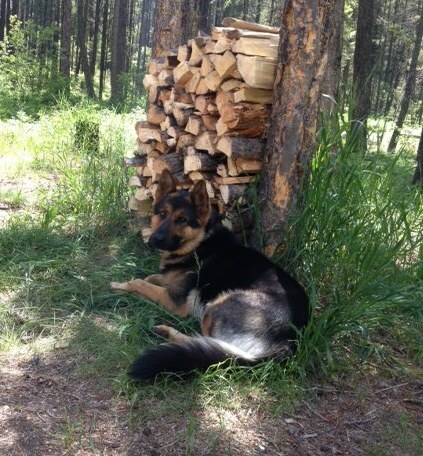 We have all been working with him on different little training regiments each day and he has already learned what "Come, Sit, Down, Off, and Leave it" mean. I am going to try to get a little video to upload to facebook later because it just seriously amazes me how much his little 8.5 week old mind has already learned :) Just wanted to thank you again! Wilhelm Vom Haus Vianden - Born April 5 2011, Sire:SG Zico van't Linnershof SCH3 FH & Dam:INT CH Viona Vom Haus Vianden BH,CD,RN. 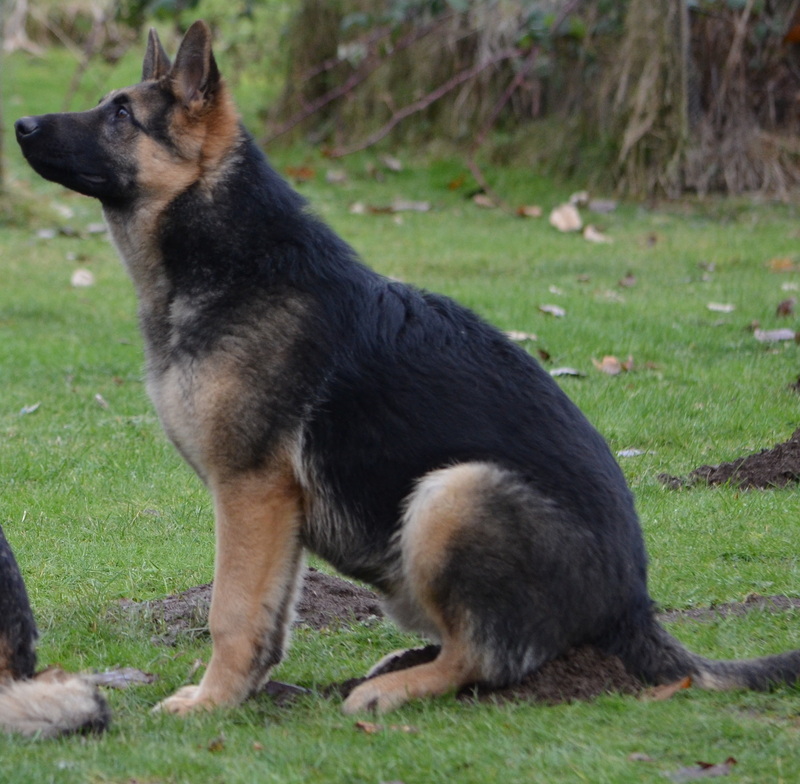 XCalibur Vom Haus Vianden CGC - Born May 22 2009, Sire:SG Zico van't Linnershof SCH3 FH & Dam: V Rana de Gauchln Verloingt,IPO1. 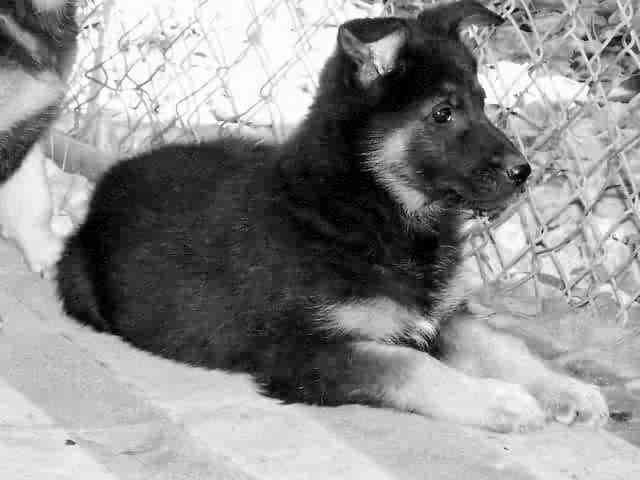 Wulfie Vom Haus Vianden - Born April 5 2011, Sire:SG Zico van't Linnershof SCH3 FH & Dam:INT CH Viona Vom Haus Vianden BH,CD,RN. Whiskey Vom Haus Vianden - Born April 5 2011, Sire:SG Zico van't Linnershof SCH3 FH & Dam:INT CH Viona Vom Haus Vianden BH,CD,RN. Winstin Vom Haus Vianden - Born April 5 2011, Sire:SG Zico van't Linnershof SCH3 FH & Dam:INT CH Viona Vom Haus Vianden BH,CD,RN. Wreckingball Vom Haus Vianden CGC. 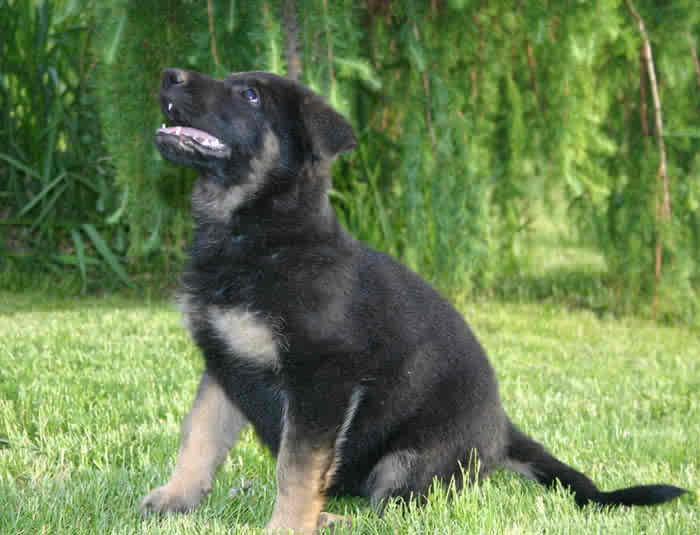 - Born April 5 2011, Sire:SG Zico van't Linnershof SCH3 FH & Dam:INT CH Viona Vom Haus Vianden BH,CD,RN. 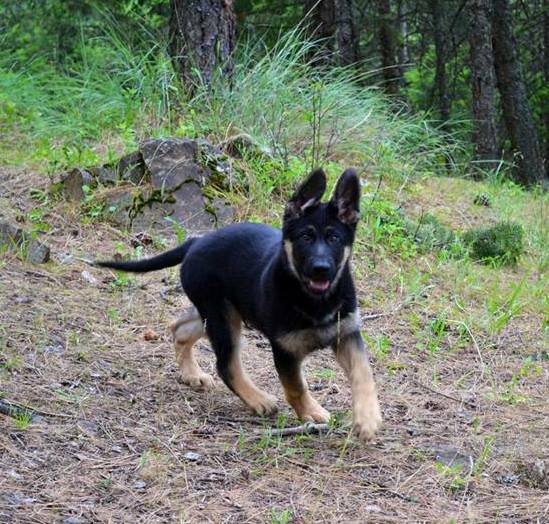 Wild Tazer Vom Haus Vianden - Born April 5 2011, Sire:SG Zico van't Linnershof SCH3 FH & Dam:INT CH Viona Vom Haus Vianden BH,CD,RN. Wilhelmina Vom Haus Vianden - Born April 5 2011, Sire:SG Zico van't Linnershof SCH3 FH & Dam:INT CH Viona Vom Haus Vianden BH,CD,RN. 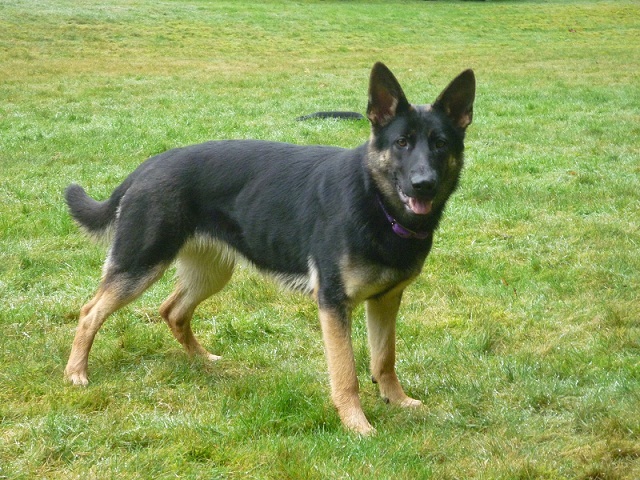 Zella Vom Haus Vianden CGC SAR. 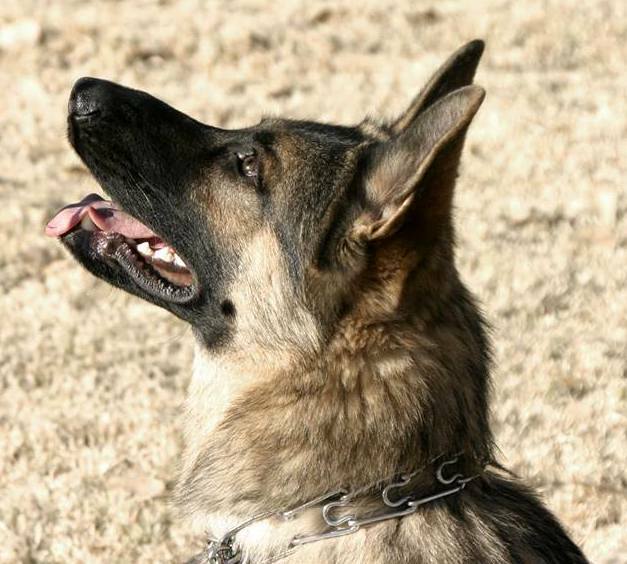 - Born August 28 2007, Sire:SG Zico van't Linnershof SCH3 FH & Dam:INT CH Viona Vom Haus Vianden BH,CD,RN. 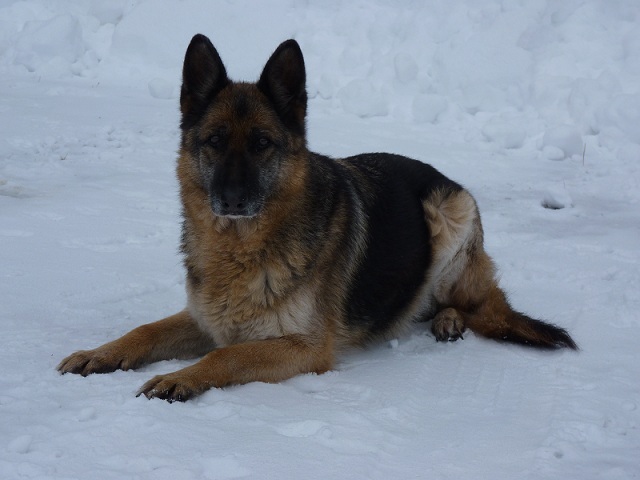 Tasha Vom Haus Vianden TD,CD,RA,ThD - Born Oct 19 2003, Sire:V Bodo vom Leamarco SCH3 & Dam:SG Yarissa Vom Haus Vianden BH,CD,Sch2. Update 9/16/2010 Debbi and Tasha were invited to participate in a Washington State University summer program, a part of which was How to Meet and Greet Dogs, and the direction of their lives changed. 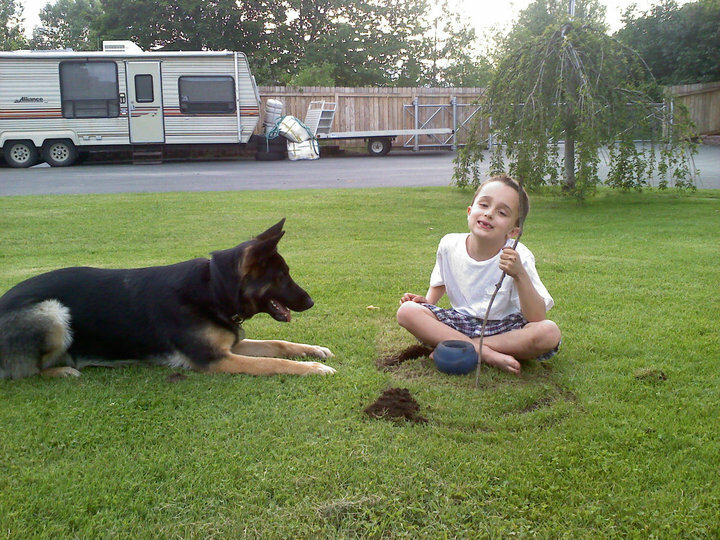 At the summer camp program, it became immediately apparent that Tasha was a people dog. She just loved the kids. She loved it when they patted her, or laid partly on top of her. She began to sing with obvious joy as they drove up to the facility. 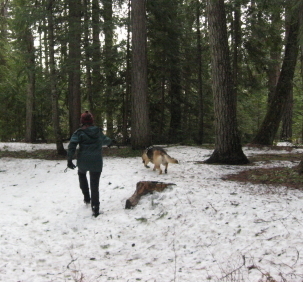 Tasha was in her element. 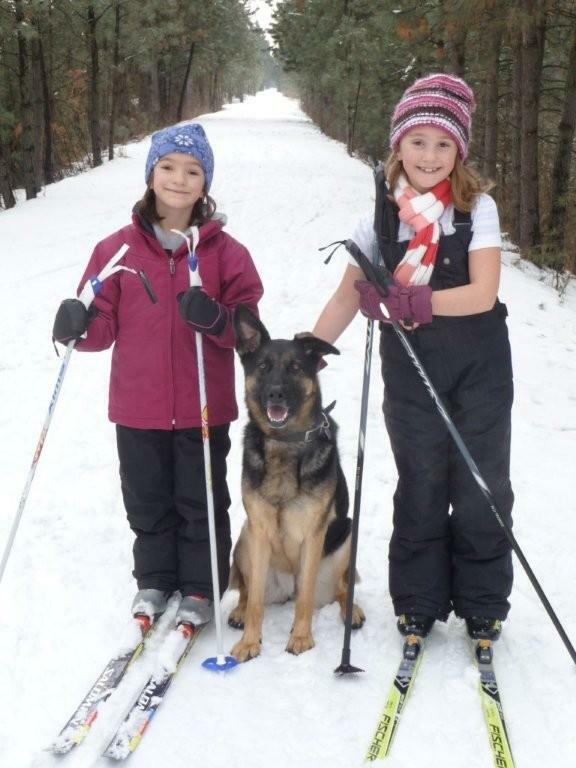 When Eileen, a long time, experienced pet therapy person and saw Tasha with the kids, she suggested to Debbi that Tasha would be a great pet therapy dog and the adventure began. 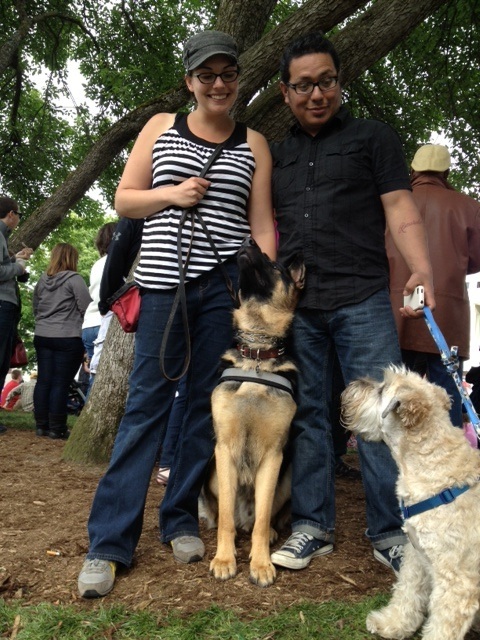 This past July, Tasha finished her training and became a certified therapy pet in Love on a Leash. Since then, Debbi and Tasha have become favorite participants in a library reading program as well as at assisted living and nursing homes. 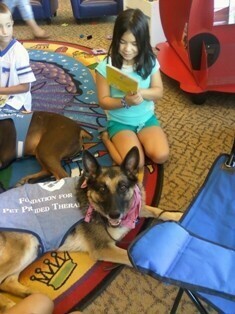 At the library, kids who need to improve their reading skills, read to one of several therapy dogs that are present. 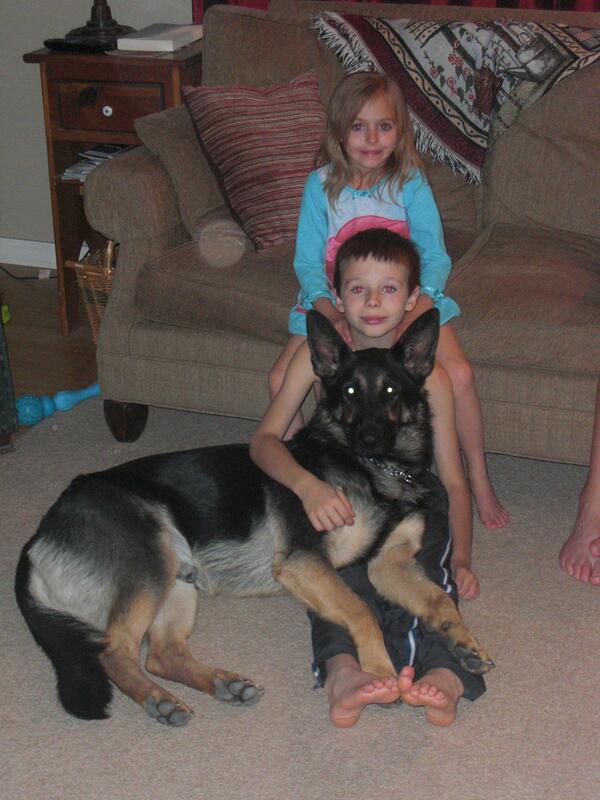 Some of the youngsters read to Tasha in Spanish, and Debbi says that makes Tasha a bi-lingual shepherd. And, the youngsters never forget to share any pictures in the story with the dogs. In fact, when a reader says, Would you like to see the pictures, the head of every therapy dog in the room swivels and hones in on the picture being shown. This amazes the human handlers since picture is a word not usually part of a dog’s vocabulary. As much as Tasha loves children, she may love the older folks she visits even more, because she displays a certain empathy for the nursing home residents. Once, visiting a very frail elderly woman whose hand was resting on the side of the bed but who could not reach for the dog, Tasha went quietly over and laid her head on the woman’s hand allowing her to rub Tasha’s nose. I had to turn away, said Debbi, because my eyes filled with tears. Debbi says that with all she and Tasha have earned and accomplished nothing is as rewarding as their therapy work. I keep pinching myself; afraid I’ll wake and find this is all a dream. Being able to visit with Tasha and seeing the joy she brings is more than I ever thought possible. I wouldn’t trade it for anything. Xana Vom Haus Vianden CGC TD RA. - Born May 22 2009, Sire:SG Zico van't Linnershof SCH3 FH & Dam: V Rana de Gauchln Verloingt,IPO1. 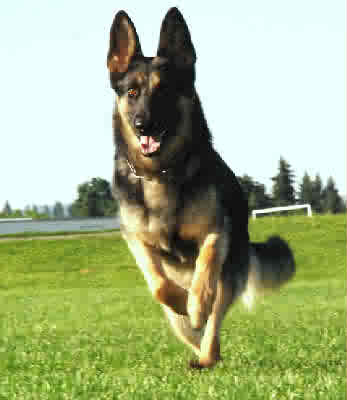 Queena Vom Haus Vianden - Born September 26 2008, Sire:SG Zico van't Linnershof SCH3 FH & Dam:INT CH Mera Vom Haus Vianden BH,Sch1. 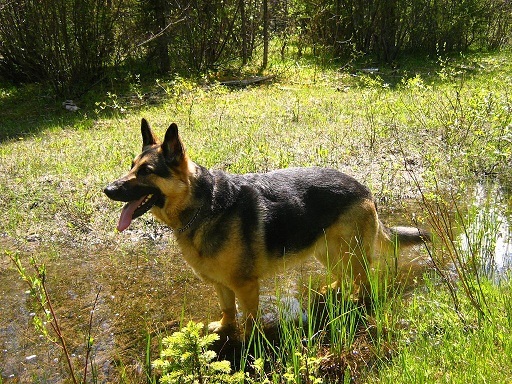 Quando Vom Haus Vianden - Born September 26 2008, Sire:SG Zico van't Linnershof SCH3 FH & Dam:INT CH Mera Vom Haus Vianden BH,Sch1. 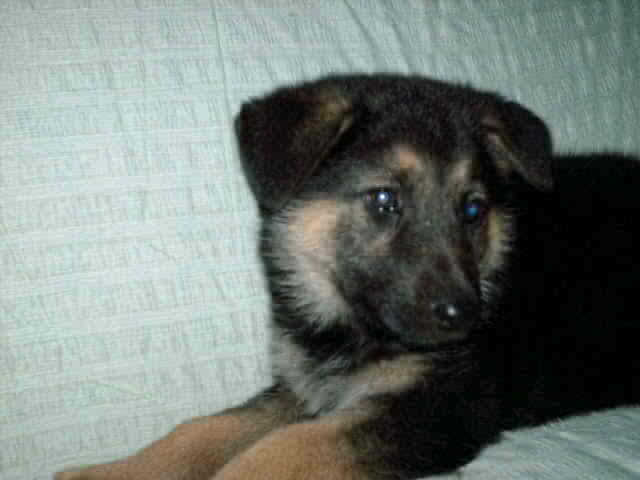 Hi There: On December 17, 2008, friends presented us with the most wonderful little ball of fur. 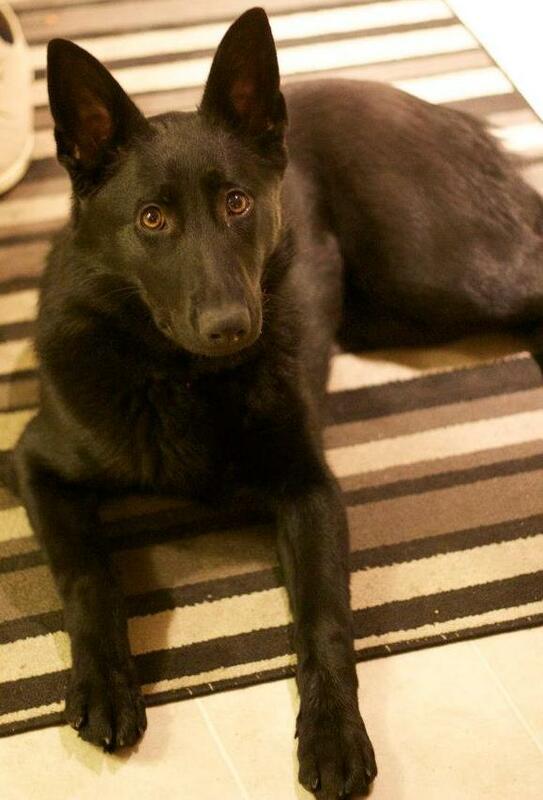 A twelve week old, all black German Sheppard. The day after he arrived, we had a terrible snow storm and the snow lasted for about two weeks. He truly had a great time running and playing in the snow. 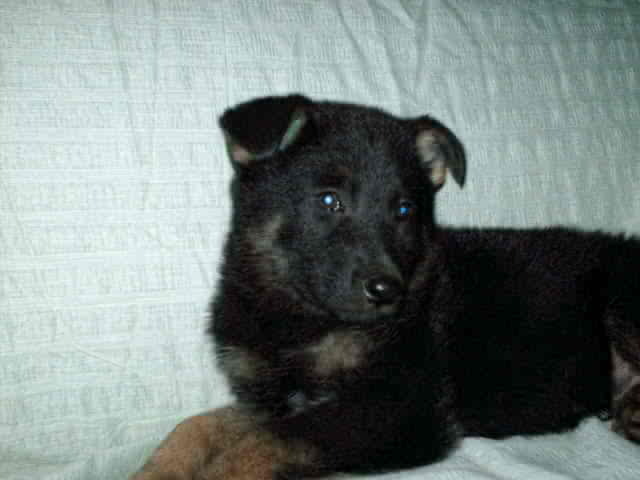 It had been over fifteen years since we had a puppy in the household. 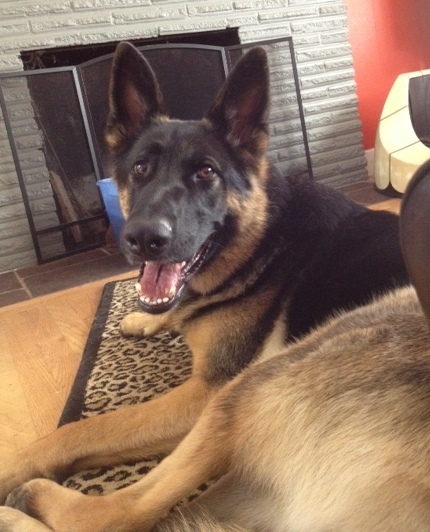 He is a total joy and fits in well with the family (both two and four legged). 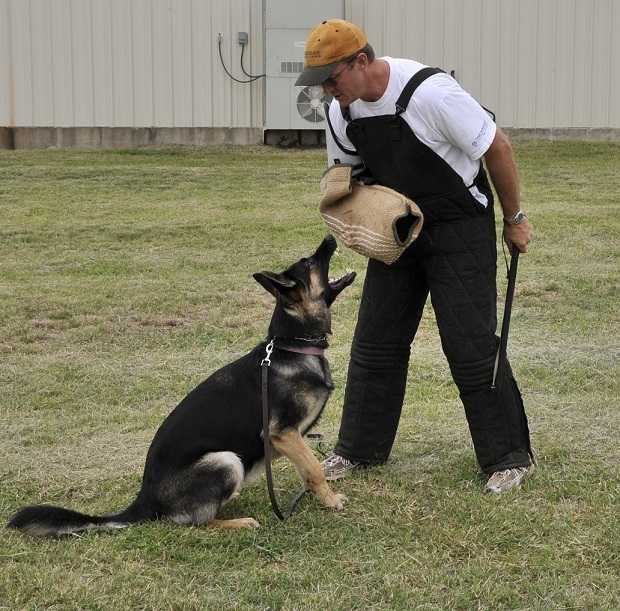 He is working on his obedience and tracking and doing quite well in both. 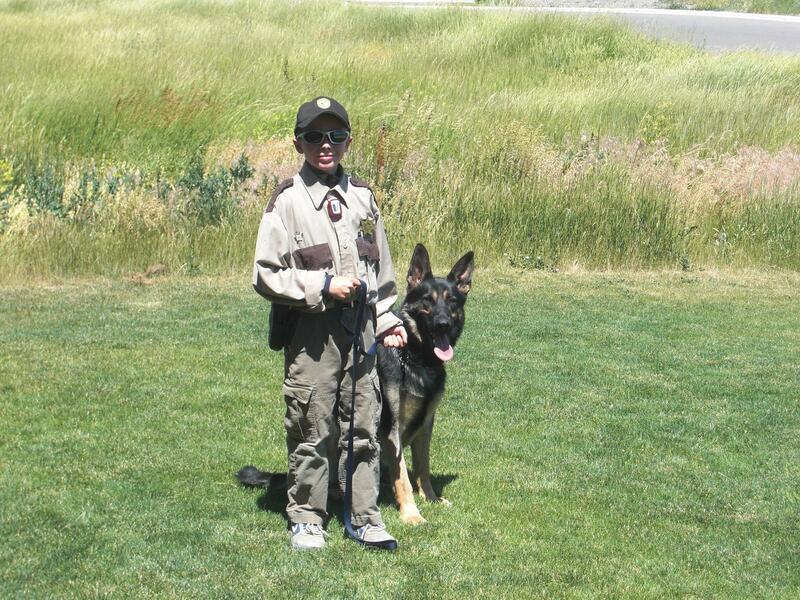 He is currently taking classes at SDTC (Spokane Dog Training Club) and CBDTC (Columbia Basin Dog Training Club). Update 8/21/10 Thank you! Like I said before they are just so much fun to work. They have big hearts! These two dogs have open so many different doors for me. I sometimes have to pinch myself. Thank you for letting me have them to do such cool and wonderful things with them!!!!! 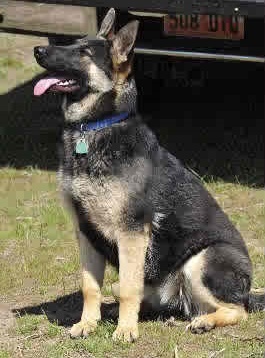 U-Russy Vom Haus Vianden CGC - Born November 9 2007, Sire:SG Zico van't Linnershof SCH3 FH & Dam:SG Shasta Vom Haus Vianden BH,RN. 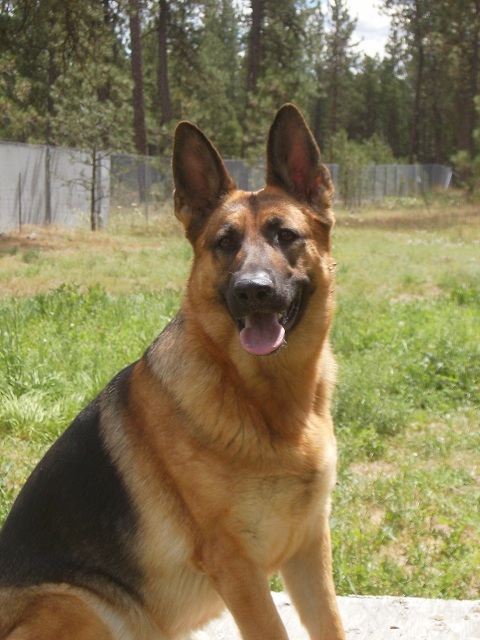 INT/NAT CH Lira Vom Haus Vianden - Born August 6 2007, Sire:SG Zico van't Linnershof SCH3 FH & Dam:SG Yarissa Vom Haus Vianden SCH2 CD. 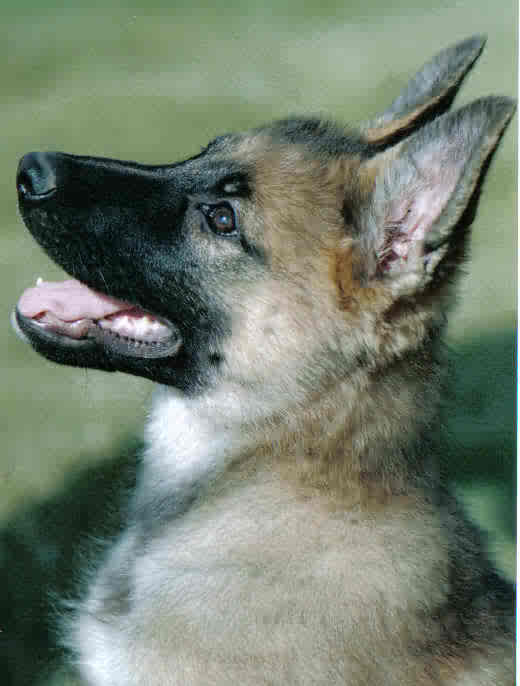 Liona Vom Haus Vianden - Born August 6 2007, Sire:SG Zico van't Linnershof SCH3 FH & Dam:SG Yarissa Vom Haus Vianden SCH2 CD. 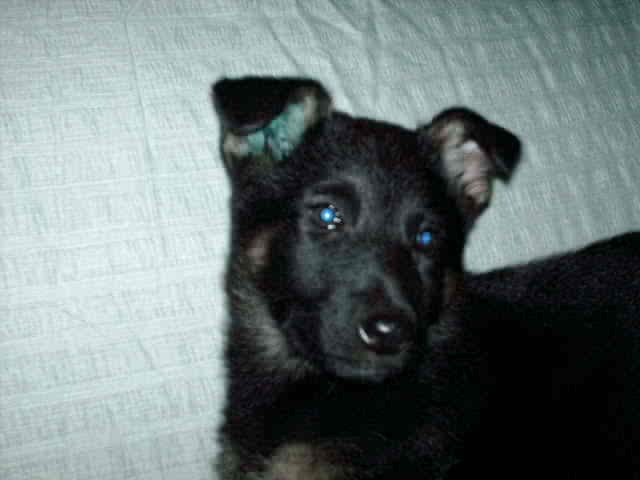 Zoe Vom Haus Vianden - Born August 28 2007, Sire:SG Zico van't Linnershof SCH3 FH & Dam:INT CH Viona Vom Haus Vianden BH,CD,RN. 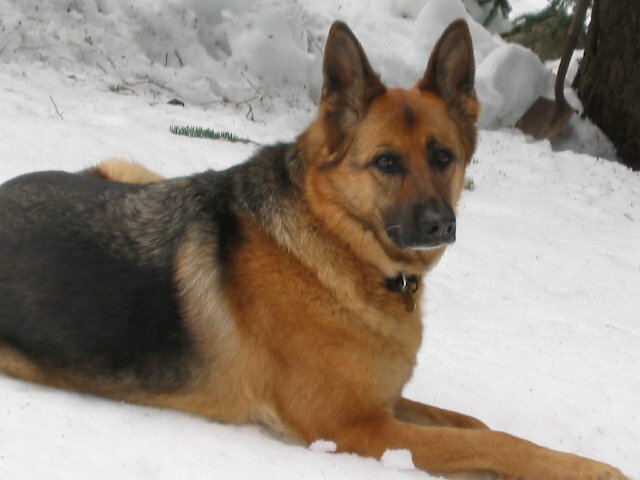 Zenka Vom Haus Vianden - Born August 28 2007, Sire:SG Zico van't Linnershof SCH3 FH & Dam:INT CH Viona Vom Haus Vianden BH,CD,RN. 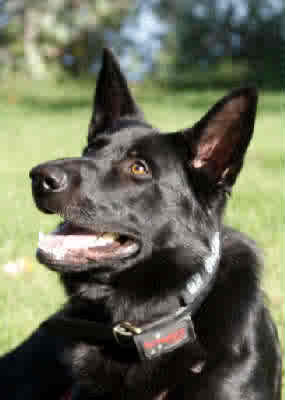 Zulu Vom Haus Vianden - Born August 28 2007, Sire:SG Zico van't Linnershof SCH3 FH & Dam:INT CH Viona Vom Haus Vianden BH,CD,RN. Charlotte, Thank you, thank you, thank you for my wonderful friend. Nala is doing well. Last week she weighed in at 27 lbs and she can't seem to ever get enough to eat. I am continually amazed by her capacity for learning. She has a strong will and sense of humor to go with her intelligence, so there is never a dull moment. When asked Nala will wait at an open door or at the end of a staircase until instructed to go through/up, and sits very patiently when her food is being prepared. She is finally accepting the leash without too much fuss and loves to run with me. We go for a half-mile or less and she perks up at the word "run." It makes her a much more well-behaved puppy. How much running is ok right now? The girls are getting better and better about being with Nala. 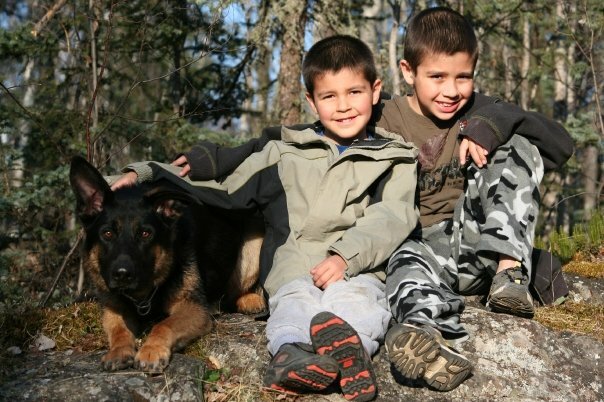 Facing their fears and learning to be in charge of a dog have been a valuable lessons for them. They adore her. Simba, our cat, is still very much annoyed by the black bundle of energy. Nala thinks it is great fun to bark at him, but definitely knows he is boss. She also loves to bark at the broom, shovel, and vacuum. I'm still trying to get her to stop that, but usually have to remove her from the situation. I do love her bark though - it's deep and intimidating. Nala is a great traveler. 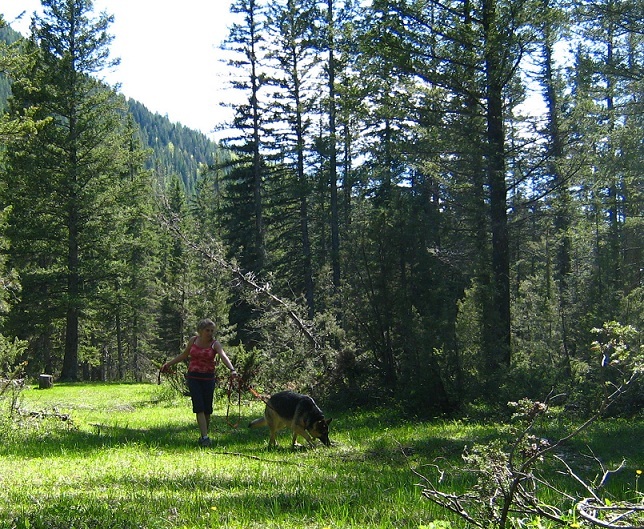 She comes with us to school when it is warm enough, and has been to the Methow Valley (a 4.5 car hour ride) twice. She seems to enjoy the adventure and exploring a new location. Zanna Vom Haus Vianden - Born August 28 2007, Sire:SG Zico van't Linnershof SCH3 FH & Dam:INT CH Viona Vom Haus Vianden BH,CD,RN. 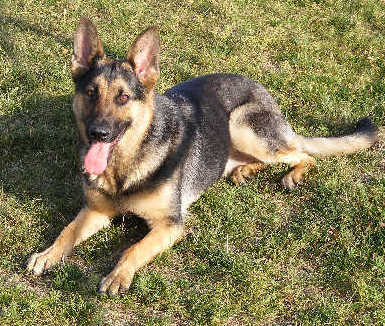 Zehla Vom Haus Vianden - Born August 28 2007, Sire:SG Zico van't Linnershof SCH3 FH & Dam:INT CH Viona Vom Haus Vianden BH,CD,RN. 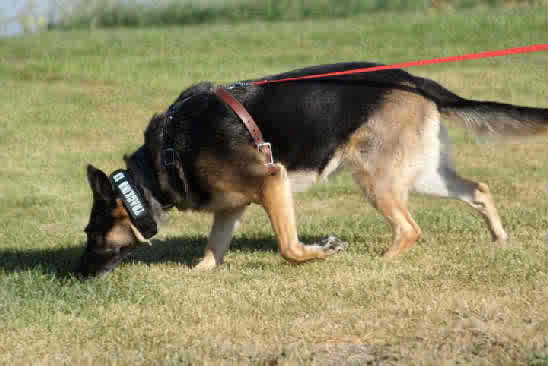 Zeus Vom Haus Vianden Narcotics Detection K9. 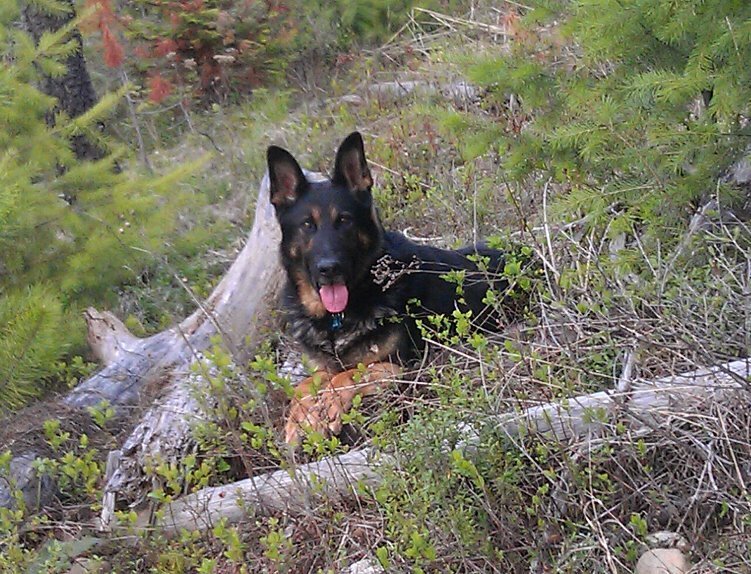 - Born August 28 2007, Sire:SG Zico van't Linnershof SCH3 FH & Dam:INT CH Viona Vom Haus Vianden BH,CD,RN. Ziggy Vom Haus Vianden - Born August 28 2007, Sire:SG Zico van't Linnershof SCH3 FH & Dam:INT CH Viona Vom Haus Vianden BH,CD,RN. Good Day, Ziggy is a wonderful boy. My boy's both adore him. Brendan my oldest had my husband bring him to his grad two class for show and tell. What a wonderful temperment. He had hands all over him and just lapped up the attention without getting hyper! My youngest often "steals" him and we'll find the two of them locked in his room. 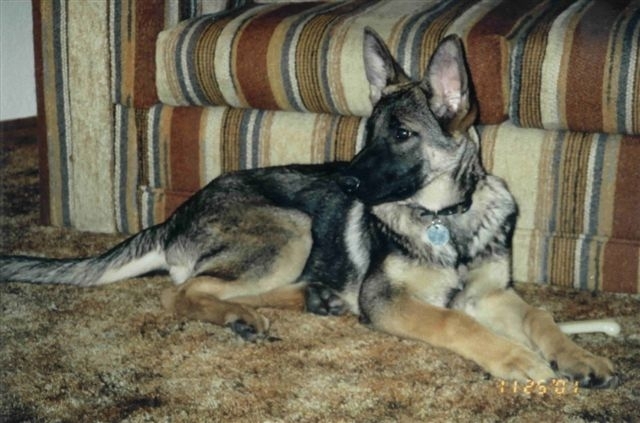 Tasha Vom Haus Vianden TD,CD,RA - Born Oct 19 2003, Sire:V Bodo vom Leamarco SCH3 & Dam:SG Yarissa Vom Haus Vianden BH,CD,Sch2. 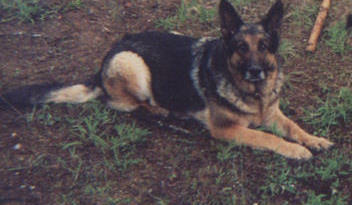 On October 01, 2006, Tasha arrived as a re-home. Her behavior was somewhat of a wild child. 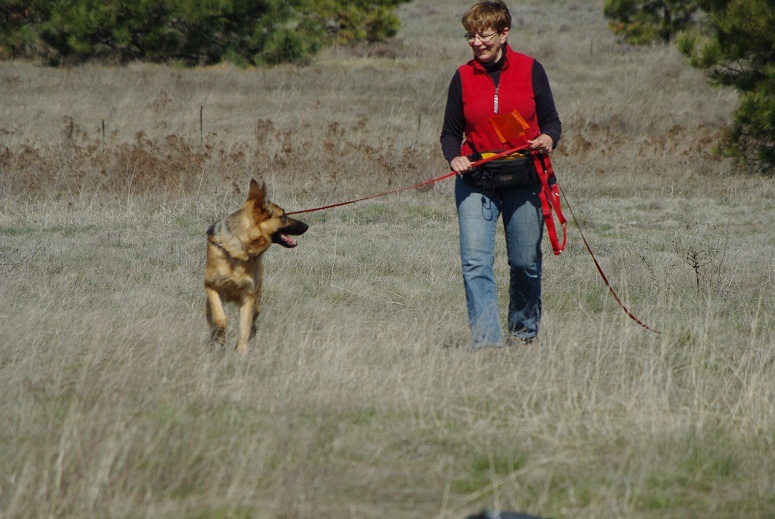 But with patience and training in obedience and tracking, she settled down. In fifteen months she has earned four titles. 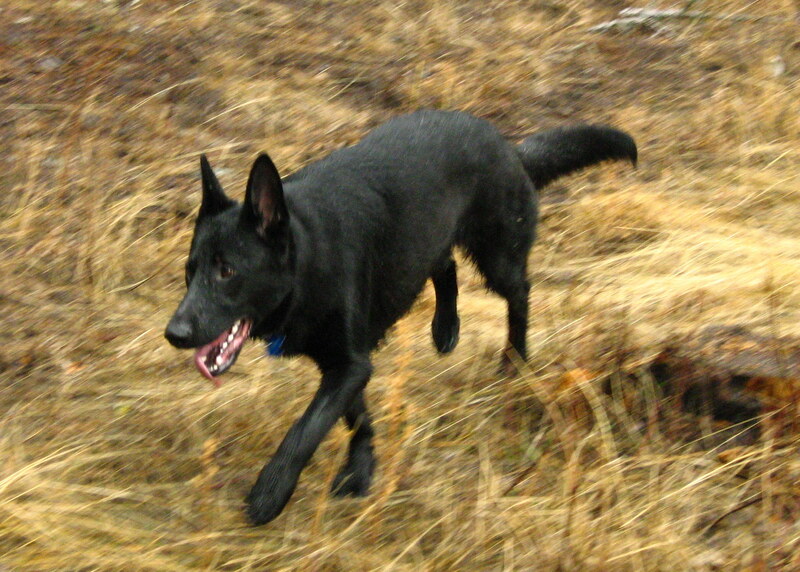 Her first title was a TD (Tracking Dog) in April 28, 2008. 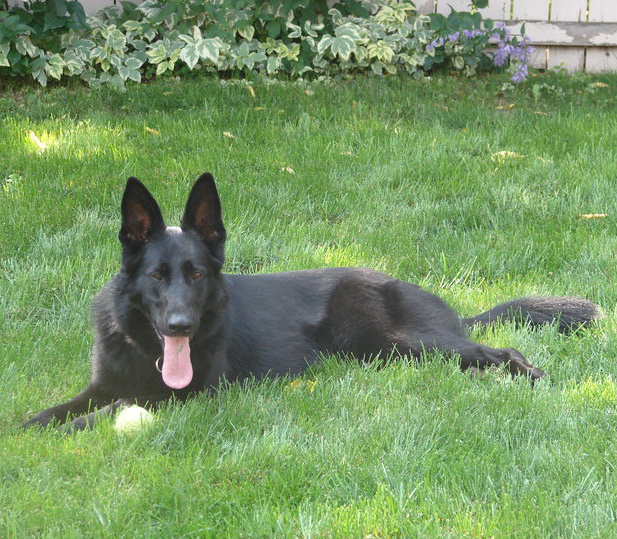 Then came her RN (Rally Novice) in October 04, 2008, RA (Rally Advanced) on May 23, 2009, and CD (Companion Dog) on July 19, 2009. 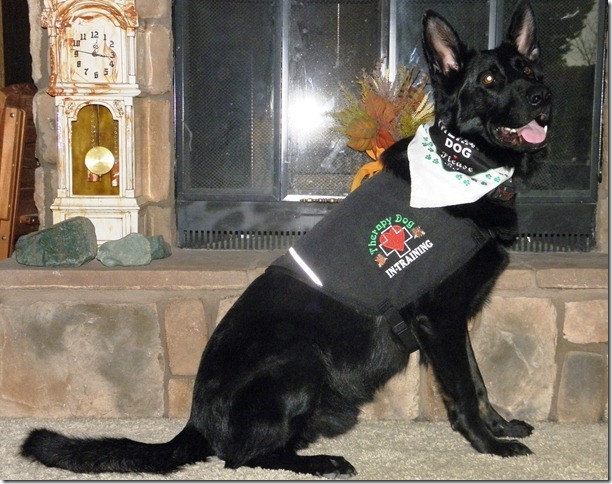 She is now working on her CDX (Companion Dog Excellence) as well as her VST (Variable Service Tracking) and TDX (Tracking Dog Excellence) titles. She loves to travel and easily picks up on new tasks. She’s a hard worker and strives to please on any tasks presented to her. I have no doubts that she will not complete the three titles we are working on. Because of her earning the TD title, I was able to become a AKC Tracking Judge, a dream that I have had since I started training dogs in 1989. 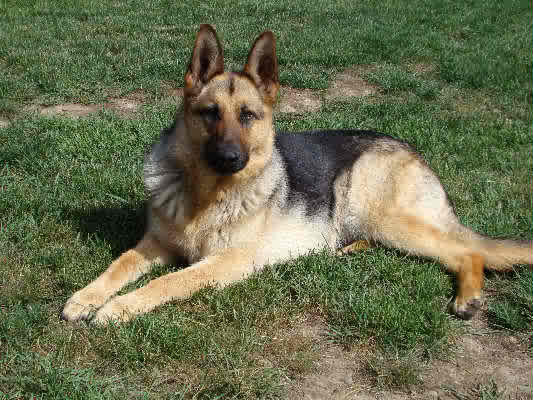 Sara Vom Haus Vianden - Born Jul 24 2001, Sire: SG Olly Vom Blauen Stein SCH1 CD BH AD& Dam:V Yasja Von Haus Kalbach VZH VH3 SCH3. 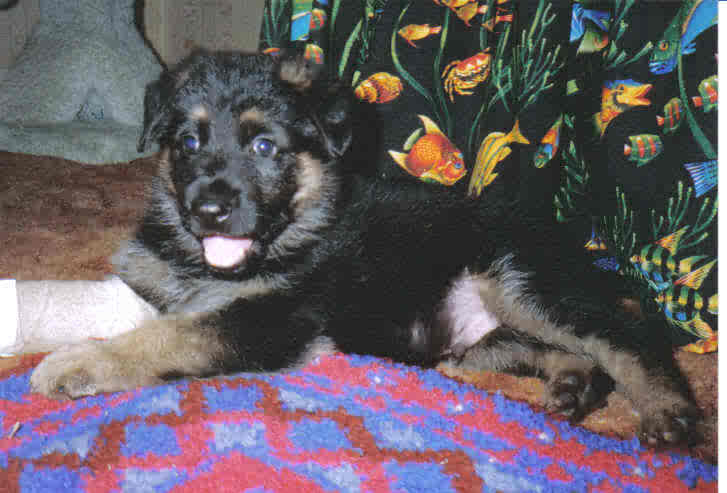 Erick Vom Haus Vianden - Born May 23 1998, Sire:SG Olly vom Blauen Stein SCH1,CD,AD & Dam:SG Isis Vom Haus Vianden BH,CD,CGC.